First things first, start by asking yourself these three questions. 1. What do my subscribers want? Out of the following three, this is probably the most important question. If you don’t know what your subscribers want, you might as well give up now. You can’t just fire out offers, and assume that they’ll be well received. 2. What can I afford to give away? You want to make sure your offers aren’t destroying your bottom line. Compare what your subscribers want with what you can afford to give away. Make sure these offers are still increasing your incoming revenue, and not just helping you stay afloat. 3. Are these offers duplicated across other platforms? Make sure all your SMS marketing offers are exclusive. Don’t fire out a 20% off coupon code, and then post this same code on Facebook. 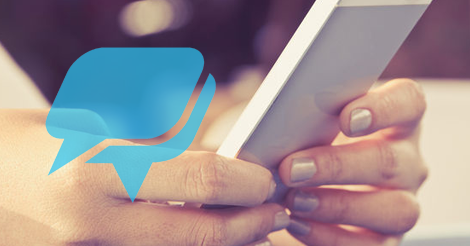 Doing so will totally devalue your SMS efforts, and decrease subscriber engagement. After answering these three questions, it’s time to take a drive down campaign composition lane. You have a list of offers that are now acceptable, and you just need to figure out when to send. When making this decision, always keep your customers’ schedules in mind. When are they most likely to open and interact? In your first month, don’t be afraid to test a few different days/times, and see which one seems to get the best response. There you have it! 60 minutes later and your campaigns are scheduled and ready to go. Grow with one of the top SMS marketing providers, SlickText.com. Give us a buzz at 1.800.688.6290 to learn more, or head over to the pricing page and sign up for a free plan. Our feature rich platform gives you the resources you need to succeed. We’ve recently added mobile coupons, drip campaigns, data sync, and personalization to our lineup.